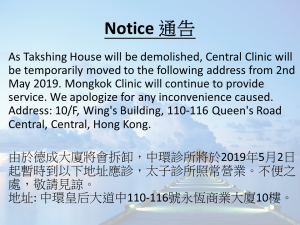 As Takshing House will be demolished, Central Clinic will be temporarily moved to the following address from 2nd May 2019. 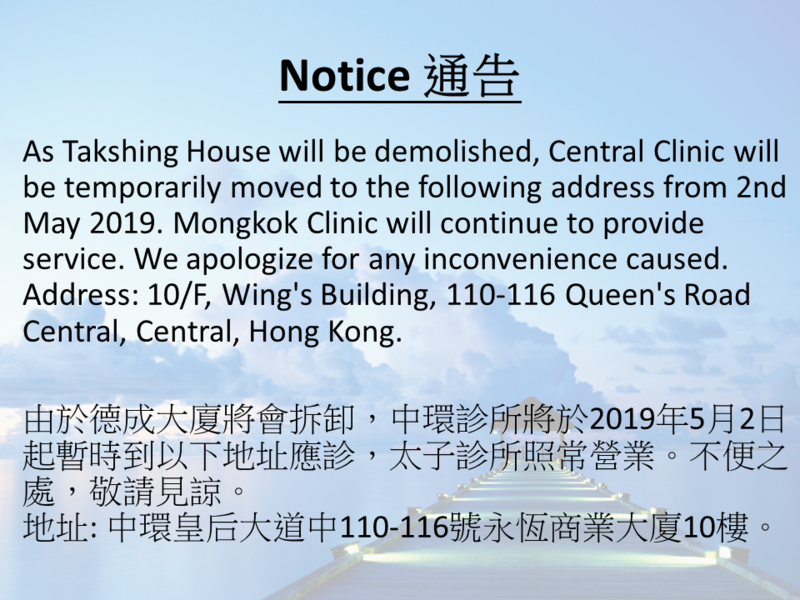 Mongkok Clinic will continue to provide service. We apologize for any inconvenience caused. 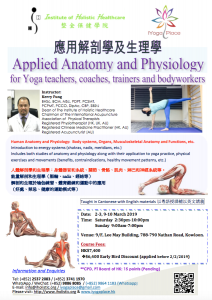 【Yoga Basics】are recommended for those are new to yoga. 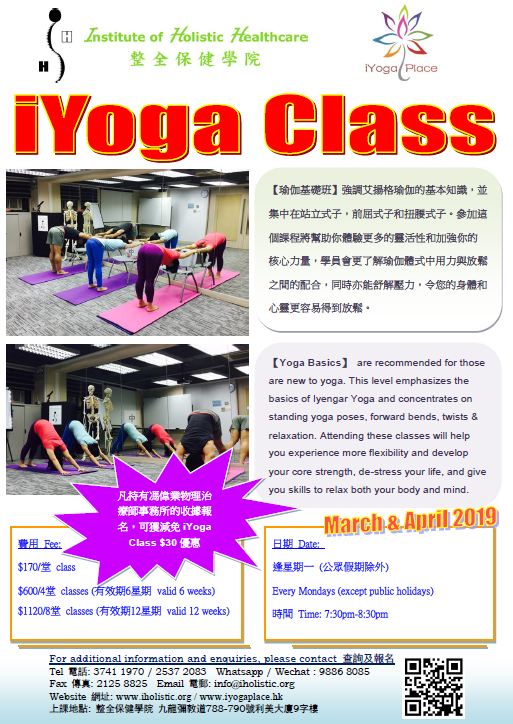 This level emphasizes the basics of Iyengar Yoga and concentrates on standing yoga poses, forward bends, twists & relaxation. 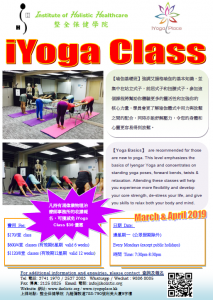 Attending these classes will help you experience more flexibility and develop your core strength, de-stress your life, and give you skills to relax both your body and mind. 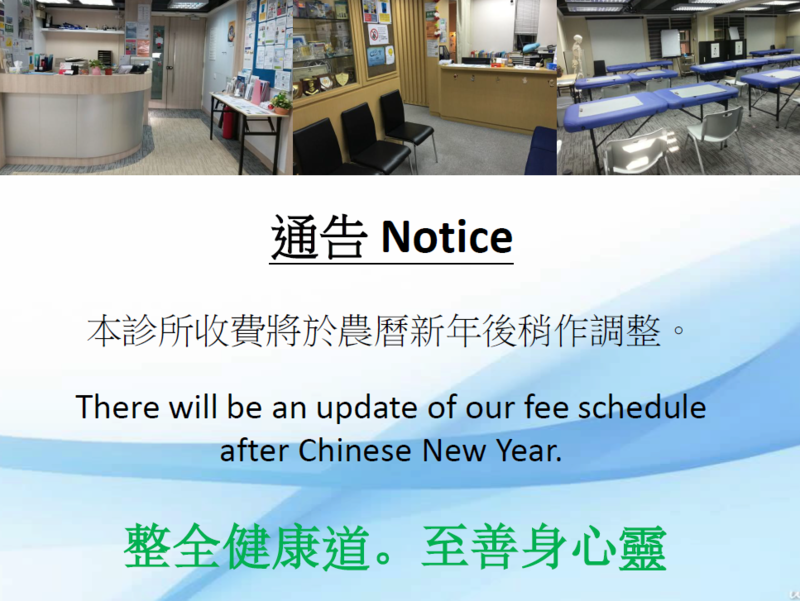 All fees paid are non-refundable. Absence and class switch are allowed by giving 24 hours advanced notice, or else prepaid pack would be deduced. Please arrive 10 minutes before the lesson, bring your own towel. 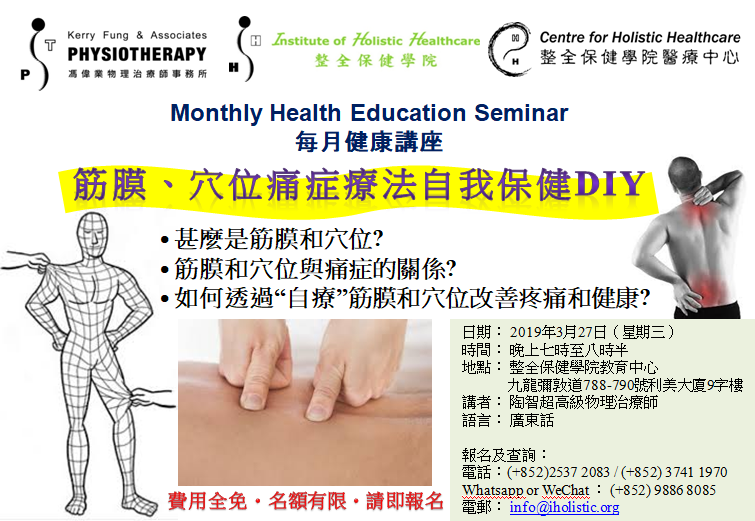 To educate physiotherapists, or other healthcare professionals if appropriate, to develop knowledge and skills in Orthopaedic Manipulative Therapy (OMT) focusing on clinical reasoning, skill development and clinical application. 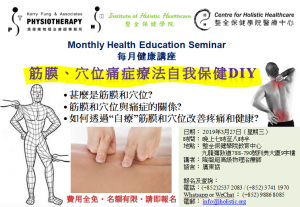 Upon completion of the Scheme, the student should be able to utilise the principles of orthopaedic manipulative therapy (manipulative physiotherapy) and to perform assessment and manipulation of the spine and peripheral joints safely and effectively, in the treatment of musculoskeletal problems. The program will span over 8 months, with 15 hours of face to face teaching over a weekend every month. Students can have sufficient time between classes to consolidate their knowledge and skills. 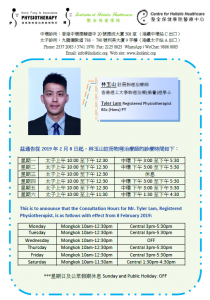 Students can take the course over weekends without interfering with their full time work and to reduce the need of travelling and lodging for foreign students. 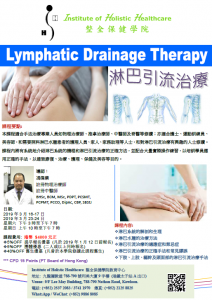 There would be a total of 120 contact hours for the Program. 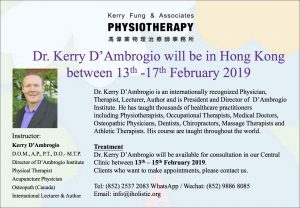 including Physiotherapists, Occupational Therapists, Medical Doctors, Osteopathic Physicians, Dentists, Chiropractors, Massage Therapists and Athletic Therapists. His course are taught throughout the world. 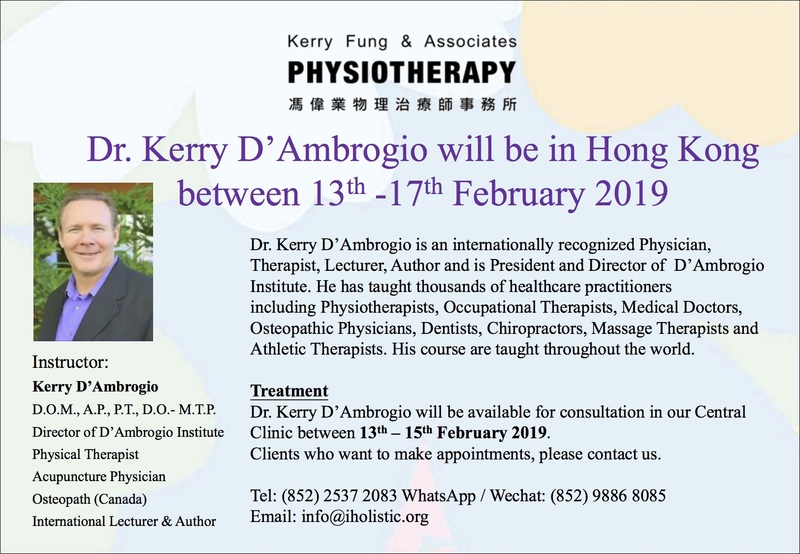 Dr. Kerry D’Ambrogio will be available for consultation in our Central Clinic between 13th – 15th February 2019. 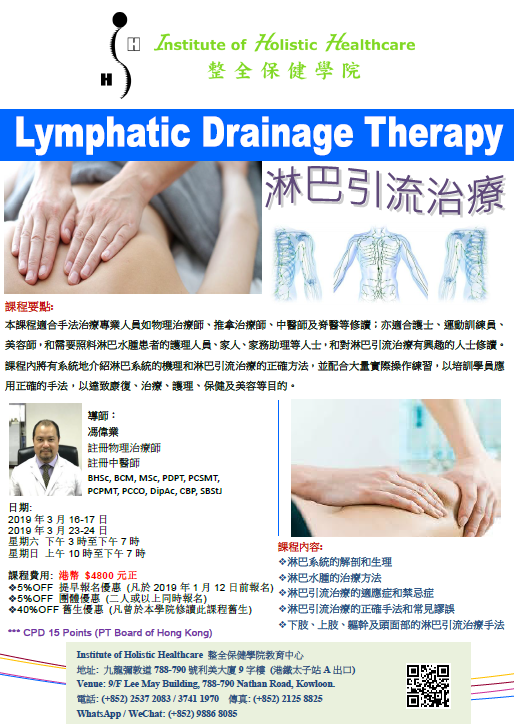 Clients who want to make appointments, please contact us. 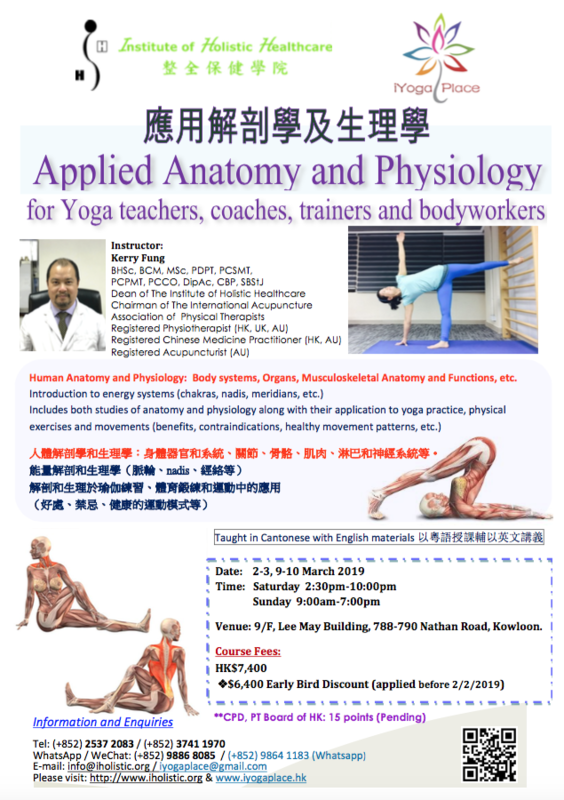 Body systems, Organs, Musculoskeletal Anatomy and Functions, etc. There will be an update of our fee schedule after Chinese New Year. Newsletter for February has been published.